Ok, a tad premature to be holding on to the “unbeaten” title, but considering our start to the last two campaigns, 3 wins and a draw is something I will gladly settle for. 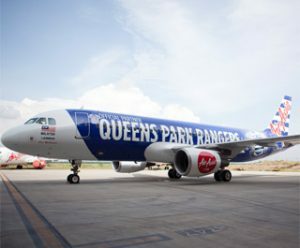 Astro (Malaysia) pulled it out of the bag a few weeks ago with the QPR v Sheffield Wednesday game being televised…….service as normal with me being perched on the edge of my sofa, chewed finger nails, indecisive over whether I agree with Harry’s team selection (Barton or not? ), then for the next 90 minutes I’m a combination of restfulness and uncontrollable jerks and spasms when there is some action at either end. A 2-1 win. With Sheffield rattling the upright. Happiness is restored on opening day of the season at W12. Highlights of the game for me were the inclusion of our very own “Hero and Villain” a.k.a Alessandro Faurlin and Joey “I will say what I want on Twitter” Barton. Both had very good performances, as did the slightly thinner Junior Hoilett. Also great to see Andy Johnson start for the first time in a long time following a cruciate knee injury. He hasn’t appeared to have lost any of his pace or work rate despite being on the wrong side of 30. More to follow on this ongoing discussion……………. A no-nonsene disposal of Exeter City in the earlier stages of the League Cup. Then a trip up to sunny Huddersfield for a potential banana skin last Saturday. This was a strange game as the emotions have settled down, and reality must have hit home for the pedigree of the likes of most QPR players. I make no apologies saying this as we had 3 England Players sat on the bench. You may read that again. Yes, 3 England players on the BENCH! With another three as part of the starting XI. And before all of you shoot me down, I know that Barton only has one cap. But it’s one more cap that the vast majority of us will ever see. A humbling experience for the likes of SWP who has played his entire career in the top flight. Bobby Zamora on the otherhand spent quite some time at Brighton and Hove Albion honing his skills, so perhaps the transition back down isn’t so bad. For the Huddersfield game I could only manage to listen to the game on London 94.9 FM, good coverage interspersed with me flicking over to TalkSport. Besides, the dodgy link I picked up for a live stream kept stuttering and stalling. Abort Mission. From the match commentary it was clear that it soon became a highlight reel for the Huddersfield shotstopper, Alex Smithies. With 19 shots from the Hoops, plus a number of crosses and set-pieces to deal with it sounds like he more than earned his bacon for the week. The game finished 1-1, a game which we should have won. A phrase that will be repeated throughout the 2013-2014 campaign. But from our promotion season in 2010-2011 it is quite clear that to get out of the greasy-walled pit of the Championship your team has to learn to win ugly. Turning 1-1 games into a 2-1 win, and nicking a point when 1-0 down with 4 minutes to play (see Jamie Mackie). Yesterday, a game against another former Premier League outfit, Ipswich Town. A few injuries meant a few debuts were made. Andy Johnson once again exposing his fragility as professional footballer, being replaced by Bobby Zamora as a starter. A player who has a long-standing hip injury and an apparent dislike for the “beautiful game”. Again, QPR having the more productive spells coupled with the woodwork being rattled by Charlie Austin and Clint Hill. Then steps our saviour, young Tom Hitchcock, making his senior debut. Less than 10 minutes of playing time he snatches the winner. Cue chaos in the Loft, with a tear-jerking embrace between Tom and his dad, Kevin Hitchcock, QPR’s Goalkeeping coach after the final whistle. Winning ugly? Not so sure……. With the iminent signing of Scott Parker (fingers crossed) and possibly either a centre-back and striker we look like we are in good shape. Team morale seems to be on another level compared to last season (I wonder how much Joey Barton has to do with this!? ), deadwood has been burnt (or shipped to Fulham!!) and the seats are pretty much full at Loftus Road. Just a shame that I have no one to gloat with at work tomorrow as the majority of the students know nothing about Football. And the boss is a Liverpool fan. Enough said. Next articleIs Manchester United’s Dormant Transfer Volcano About to Erupt?